Ballet Austin's Program 'Femmes De Force' highlights powerful female leads in upcoming shows. The Long Center was jam packed, filled to the brim with people waiting, all on the edge of their seats. The air was silent with an expectancy that lingered among the audience. Everyone’s eyes gazed down at the orchestra, who were poised and ready to perform. The velvet curtain hid the stage that was about to be illuminated with prancing dancers. Conductor Peter Bay of the Austin Symphony Orchestra raised his hand with a brisk stroke and the lilting music began, filling the room with sweet, harmonious notes. A few moments later, the curtain rose and revealed a set with a metallic, magical tree, a castle gate, and a garden where the Firebird herself emerged from a layer of fog. She danced and fled from Prince Ivan who hunted her but later becomes her friend and ally. Through the gorgeous dance, the Firebird showed resilience and bravery and fought with Ivan against the forces of evil. Besides the plot, there were many interesting things to take in from this astounding ballet. The ballet was ornamented with glittering costumes, an idyllic set, and elegant dancers who showed off months of hard work. The entire performance emanated with a glint of magic, a glimpse into a fantasy world. The Firebird, a classic and strong female led ballet, was chosen as one of Ballet Austin’s 2018-2019 season performances, which showcased the weekend of Sept. 21. The Ballet Austin show season was entitled Femmes De Force and highlighted powerful femininity. The music for the ballet was composed by Igor Stravinsky, a talented musician and also the creator of The Firebird’s mythical story plot. Stravinsky incorporated Russian folktales and folk ballads into his work, which gives a whimsical feel to the storyline. Recent addition to the Ballet Austin Company, Mr. Max Azaro took on the role as one of the guards in The Firebird. Besides this being his first show with the company, he appreciated the chance of working with Artistic Director Mr. Stephen Mills, who choreographed the ballet. Many dancers in the community, including Mr. Azaro, view shining a light onto fierce female leads is what is needed in this day and age. The dance community is expanding and along with it comes broad and open minded thinking. 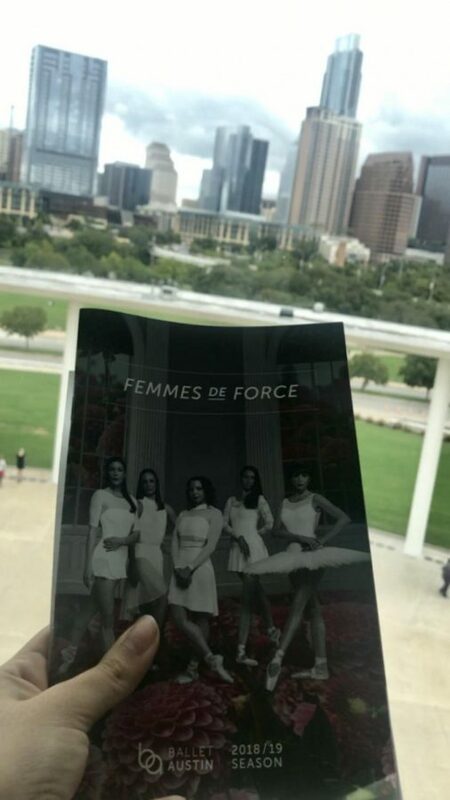 Ballet Austin’s theme of Femmes De Force encapsulates the movement the company is urging to spark in the world of dance and beyond. As well as that, dancers already in the midst of their careers feel that young performers often shy away from dance because they are intimidated by the societal outlook and how people will treat them. Mr. Azaro has been drawn to ballet and dance since he was 10 years old. He knew he wanted to be a professional dancer by age 14, and he competed in Youth America Grand Prix and got a scholarship to the Jacqueline Kennedy Onassis School, also known as the School of American Ballet Theatre in New York. He worked hard and reaped the rewards, joining the Ballet Austin Company only in the past year. He strived to set an example for young dancers driven to the art of ballet during his time at the Company, where he also teaches classes when not doing performances. “Especially for young male dancers, just because a lot of times it’s just harder for us because of the stigma that comes with being a male ballet dancer, I would say that if you love it and you are passionate about it or anything in general, then don’t let the opinions of others influence you too much,” Mr. Azaro said. Ms. Courtney Holland, a fellow company dancer, performed as part of the ensemble as one of the graceful princesses who captures the attention of dashing Prince Ivan. She began her advanced dance career at age 11 after being accepted into the National Ballet School of Canada, which she attended until the end of high school. She had previously danced in a varying rendition of The Firebird in a smaller part and studied a completely different form of the choreography. Ms. Holland also loves the theme of emphasizing those bright individuals, women who truly pave the path for future dancers to shine on. She is ecstatic to perform in and to see Pieces of Passion, Grimm Tales, and Giselle, which are all upcoming ballets in the company’s season. The performances will continue to stress the importance of females in ballet and their true artistic impact on generations to come. As well as the two seasoned company members, freshman and Ballet Austin Academy dancer Bella Friedrich viewed the ballet as a spectacular and inspiring show. Dancing since she was in elementary school and beginning to seriously work on her craft when she was 11, she goes to ballet class with the academy almost every single day after school. 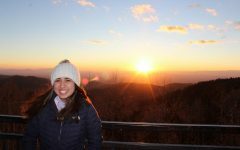 She is immersed in the dance world and hopes to become a professional dancer and pursue her career even further after high school. She attended the prestigious Pacific Northwest Ballet School in Seattle the summer of this year. Friedrich viewed the chance to perform with the ballet as an experience she will never forget. Aara Krumpe, star of The Firebird, has featured in many classical ballets during her Ballet Austin career including Belle Redux / A Tale of Beauty & The Beast, Romeo & Juliet, The Taming of the Shrew, and Queen of the Night in The Magic Flute, as well as many others. Her extensive career with the company attributes to her legacy, along with her impact on young dancers such as Friedrich. The Firebird is one of several shows the company will put on this season, all beautifully crafted ballets with history imbedded into them. Despite the ballet being a classic, masterfully choreographed, and musically uplifting ballet, the tones that resonate with the show underlie powerful concepts and spark something deeper than just fantasy and an elemental story. The show truly has an impact not only on the dancers who are part of the ballet but also the audience, who receive a gorgeous performance with important, real life themes.